It’s been 40 years since he first came home. On October 30th, 1978, Michael Myers escaped Smith’s Grove Sanitarium and returned to Haddonfield, Illinois. 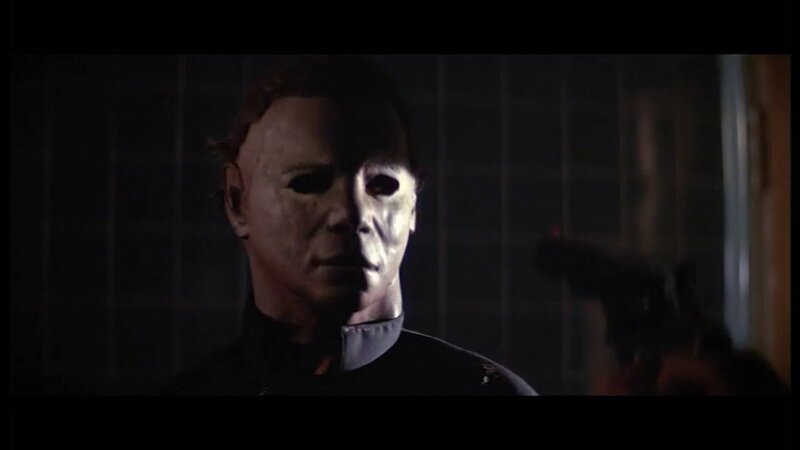 On Halloween night, Haddonfield was forced to welcome home its anything-but-prodigal son. Unfortunately for Laurie Strode and some of her annoying friends, he had more than a few tricks up his sleeve. Fortunately for audiences, once Michael came home, he never really left; treating us all to 4 decades of destruction. Throughout the past 40 years, Michael Myers has returned in 6 sequels, 1 remake, 1 sequel to the remake, 1 reboot, and a cameo appearance in a film focusing on a season of the witch. Some of these movies were good. Some were really, really bad. All of them added something to the mythology of Michael Myers, however. 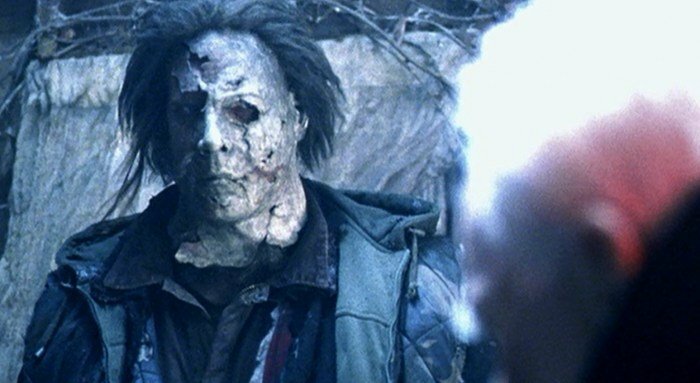 Whether he was a silent killer working alone, a cult’s puppet with a weird tramp stamp on his wrist or a hillbilly with a family of the devil’s rejects, Michael Myers has survived everything thrown at him. The franchise, just like Myers himself, just keeps going. As of October 2018, there have been 11 Halloween movies and, in honor of the newest film’s release, we’re ranking all of them. There are only a few more days ‘til Halloween (Halloween, Halloween) so sit back, carve a pumpkin, crack a beer and come with us as we explore The Nights He Came Home. The less said about this film, the better. Halloween Resurrection was, in a word, awful. In another word, it was egregious. In yet another, it was insulting. The point is, Halloween Resurrection sucked. The ONLY semi-interesting aspect of the film was the opening, in which we saw Laurie Strode come face to face with Michael Myers one last time (or so we thought at the time). Even that scene was so contrived and illogical, that it almost depleted any of the goodwill that the previous entry gained with fans. Purchase now on Amazon for $16.99. Kay listen. We’re not mad at Rob Zombie, okay? He tried. It’s not like he was just trying to film a remake solely to capitalize on name-value and earn a buck like some producers do. Zombie truly believed that he had a story worth telling and we commend him for that. The problem is, the story wasn’t worth telling. Zombie took the best aspects of the original Halloween (subtlety, tension, shadows, mystery) and replaced them with lots of swearing, yelling, gore and a hillbilly backstory. Zombie didn’t understand that the scariest part about Michael Myers was the fact that we didn’t know why he was the way he was. Audiences don’t want Michael Myers to be the victim of a broken home. We don’t even want him to be human, not really. We want our Michael Myers to be The Shape. Purchase now on Amazon for $5.99. Speaking of Rob Zombie’s Halloween, his sequel was…interesting. Now that he no longer had to placate fans of the original film, Zombie was free to be as bat-sh*t crazy as he wanted to be. And boy, was he! There were ghost moms, white horses, and a very vocal Michael Myers. Like Zombie’s first one, Halloween 2 wasn’t a good film, per say. But at least he had a vision and saw it through to the end. Thankfully, there was an end. Halloween 6: The Curse of Michael Myers is the only Halloween film with two “cuts” available. The first cut is the Director’s Cut and it isn’t good. The second cut is the Producer’s Cut. It also isn’t very good, but it has more kills and a weirder ending. And also Michael Myers is said to be the father of his niece’s baby. So. Ya know. Ew. There are a few positive elements of Halloween 6. Michael Myers’ mask is pretty on point, something that the films before and the film after never seemed to get right after the original. This was also one of Paul Rudd’s first roles and he plays a kinda-creepy-but-mostly-well-meaning Tommy Doyle. Additionally, this film saw one of the best “comeuppance kills” of a loathsome character out of the entire franchise. Those are the highlights. The lowlights include, ahem: druids, cults, curses, scary old ladies, overacting, Jamie-Lloyd-but-not-Danielle-Harris getting killed, creepy Uncle Michael, creepy neighbor Tommy, creepy brother Tim, mean dad, dumb mom and death by pipe. This is the last of the “bad” Halloween films and, truth be told, it isn’t terrible. There were just a few really obvious mistakes that were made. The film picks up a year after the previous film’s events. The main character, Jamie Lloyd, has been admitted to a children’s psych hospital after previously stabbing her stepmother. We’ll get back to that. Halloween 5 takes everything that was great about the previous installment and stabs it to death. Jamie Lloyd, previously a young, precocious heroine is now a mute. Rachel, Jamie’s older sister, was the other heroine of Halloween 4. Here, she is killed in the first reel, only to be replaced by Tina. Ohhhh, Tina. We hate you. If Halloween 5 were a “typical” horror movie, Tina would have been the annoying best friend that got killed pretty quickly in an effort to ‘send a message’ to the actual protagonist. 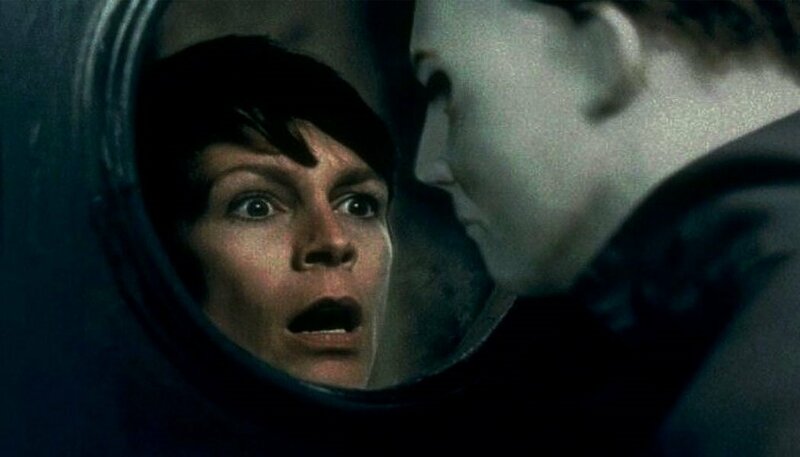 In Halloween 5: The Revenge of Michael Myers, she somehow takes the lead after Rachel is killed and we find ourselves silently rooting for Myers by the end of the whole thing. Purchase now on Amazon for $9.96. And now, for something completely different. As the only ‘non-Michael Myers’ Halloween film, Season of the Witch has finally started to get its due as one hell of a good flick. Originally conceived to be the 2nd installment of a more anthology approach to the Halloween series, this film polarized audiences at first because of its lack of “shape.” It wasn’t until years later that audiences finally realized that this was actually one of the better Halloween films. Season of the Witch tells the story of an evil mask-maker named Conal Cochran. Cochran wants to restore Halloween to the terrifying festival it once was before costumes and candy took the place of terror and sacrifices. 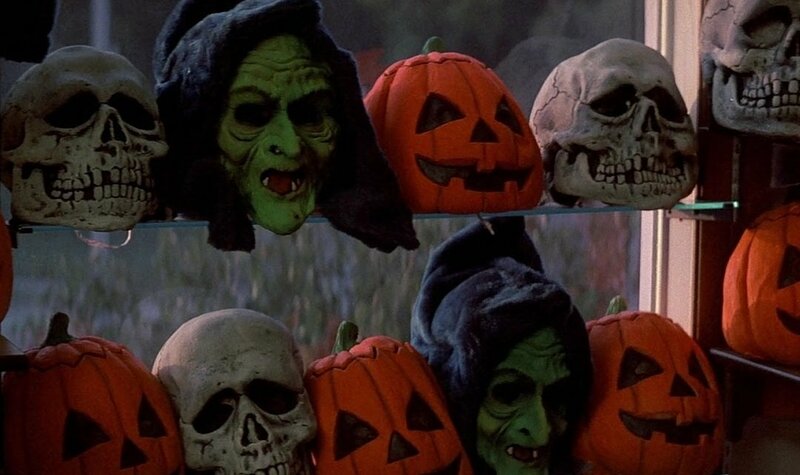 To do this, he has decided to murder all of the children in the world or, at least, those who happen to be wearing Silver Shamrock masks at the time of the “Big Giveaway.” Season of the Witch is an incredibly mean-spirited film but it is, perhaps, one of the best Halloween sequels in the entire franchise. Much of this is due to the performance of Tom Atkins. Atkins plays Dr. Challis, a womanizing, borderline-alcoholic, absentee father who also happens to be the only man that stands between Cochran and the decimation of all children. Halloween H20 or, “Halloween: Water,” as it’s been called, marked the return of Laurie Strode to the franchise after a nearly 20-year absence. This film ignores parts 4-6 and acts as a direct sequel to Halloween 2. Laurie Strode has changed her name to Kari Tate, and she is now the headmistress of a private school, deep in the California hills. Laurie may have changed her name, but she has never forgotten the horrors of 20 years ago. Michael Myers hasn’t forgotten them either. Now, he’s back to finish the job he started all those years ago in Haddonfield. Seeing Laurie Strode and Michael Myers go toe-to-toe one more time, after 20 years, was a delight. Everything else was okay. This film introduced Josh Hartnett to the world, showed glimpses of the incredible actor that Michelle Williams would become and featured LL Cool J in a supporting role. Ladies Love Cool J. Purchase now on Amazon for $4.99. Halloween 2 acted as a direct sequel to the first Halloween. In fact, it picked up right at the end of the original film. 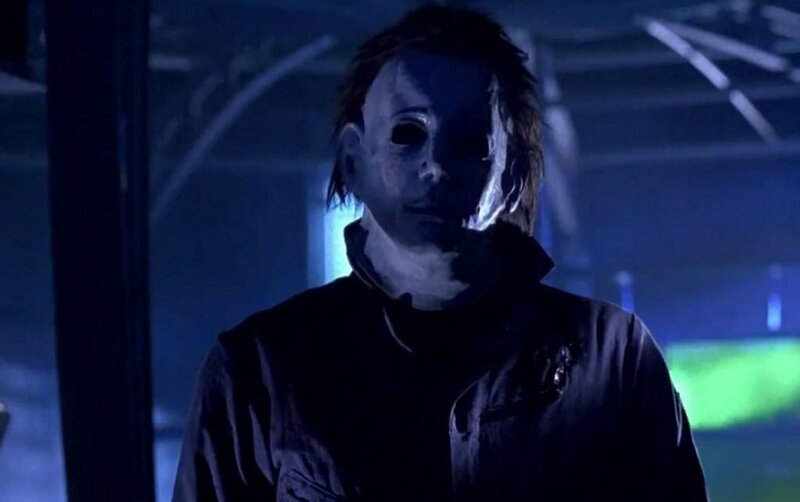 Michael Myers has been shot “6 times!” But, as Tommy Doyle once prophetically stated, “you can’t kill the boogeyman.” Michael Myers has escaped and, now, he is finding new victims. This time, Myers is stalking the employees of the hospital that Laurie has been admitted to. This film was not as good as the original, by any means. It also started the storyline that would take 40 years to change; the fact that Laurie Strode was Michael Myers’ sister. It was a major development that some fans loved and others hated. It was the first plot detail that took away from the randomness of Michael Myers, something that would plague the rest of the series for the next 40 years. Still, the fact that it’s a direct sequel and features even more “Halloween” atmosphere makes this a more-than-worthy successor to the original. It’s a little more violent, a lot meaner and it has some baffling character decisions, but it functions as a terrific sequel and it is best viewed in conjunction with the original. Ten years after the original Halloween, audiences returned to Haddonfield for Halloween 4: The Return of Michael Myers. Following the critical and commercial failure of Halloween 3 (such a shame), producers decided to bring back Michael Myers for another night of destruction. Being that Jamie Lee Curtis was now a bonafide movie star, Michael needed a new victim and she would come in the form of Danielle Harris. Harris played Jamie Lloyd, Laurie Strode’s daughter who is now living with a foster family after the death of her mother. This was the first “soft reboot” of the Halloween franchise and, for all intents and purposes, it worked. It had the Halloween atmosphere, a vicious Michael Myers and a protagonist that we cared about and actually wanted to live. Danielle Harris stole the show in this film as she was only 11 years old at the time of filming. She was put through the ringer too, as was her movie-sister Rachel, played by Ellie Cornell. Halloween 4 was a great way to jumpstart the series after Season of the Witch. 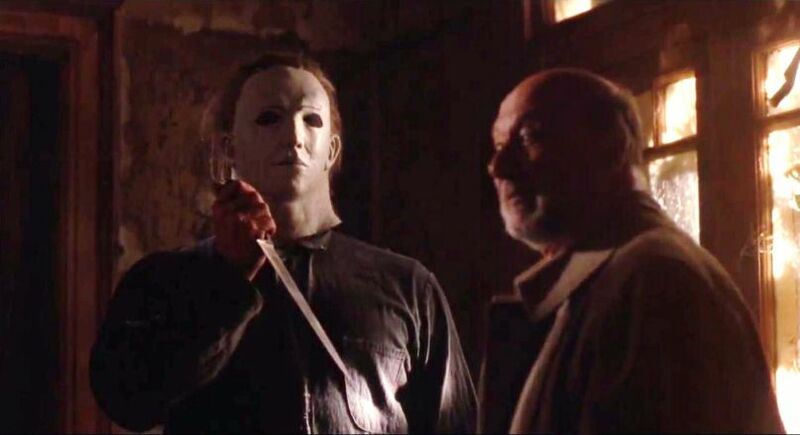 Unfortunately, that momentum would not carry through for the rest of the series until, finally, a sequel was made that would bring Michael Myers back to Haddonfield once and for all. The most recent entry into the Halloween mythology is, for our money, the best entry, not named Halloween. We mean, it is named Halloween. But like, not the original Halloween. That’s what we meant. Shut up. The point is, H40 delivered everything we could have possibly wanted in a sequel. Filmmakers Danny McBride and David Green opted to forego all of the previous sequels, focusing instead on using their film as the one and only follow up to the original Halloween. While this might upset some fans, it was a novel approach and, really, it was the only way to clean up all of the continuity issues of the franchise. 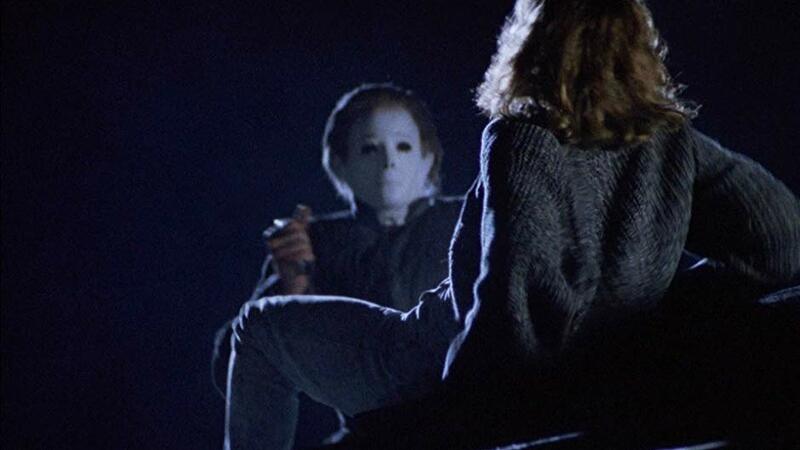 And while it dismissed the notion that Laurie Strode was Michael Myers’ sister, it did offer up the definitive final battle between Michael and Laurie. Jamie Lee Curtis returned to the role that made her famous all those years ago and, in doing so, she gave fans the proper ending that we deserved. Not yet available on home video. Of course, none of the previous entries would even exist were it not for the original. Truth be told, there are countless numbers of horror films that would not exist were it not for Halloween. We might not have Friday the 13th, a Nightmare on Elm Street and more without the film about The Night He Came Home. Halloween is the definitive horror movie. There’s no better way to put it. It has tension, atmosphere, characters we care about, a bad guy we’re afraid of and a scenario that could happen to us. Perhaps this, more than anything else, is why Halloween was so successful. Michael Myers was, in the first film, not a dream demon or a hockey mask-wearing zombie. He was just a man that broke out of a mental institution. Laurie Strode was not a superhero or a vampire slayer; she was a normal girl who happened to be in the wrong place at the wrong time. Laurie’s life, as well as the actress who portrayed her, would never be the same again. Halloween is the quintessential horror movie. The original film kick-started a franchise that has lasted 40 years. It gave us the premiere boogeyman of this or any generation, it gave Jamie Lee Curtis a career and it gave audiences nightmares for years to come. Halloween is the perfect film and, especially after the 2018 reboot, we cannot wait for Michael Myers to come home again. The post The Nights HE Came Home – Ranking the Halloween Movies appeared first on ComingSoon.net.